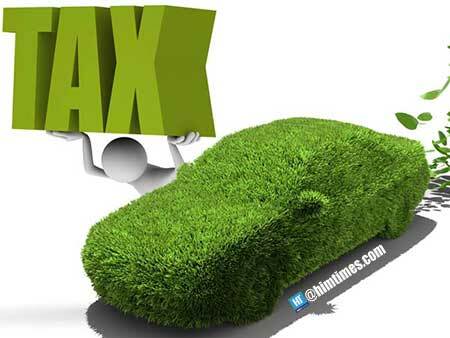 SHIMLA: Shimla Municipal Corporation’s (SMC) claims to control vehicular traffic and pollution in the town by collecting revenue have become mere talks as the civic body has not been able to impose ‘green tax’ in Shimla even after two years of its declaration. SMC said that with the green tax collection, parking problem will be sorted with lesser vehicles entering Shimla, traffic jams will be reduced and the corporation will generate revenue of Rs 15 crores yearly to be utilized in measures to control environmental pollution. Earlier, SMC had begun the green fee collection system in September 2012 and it had erected barriers at four entry points of the town. But within a year, after the high court directed the civic body to stop the collection as it was resulting into frequent traffic jams. In January 2015, the corporation had included green tax collection in its annual budget, the same was announced in 2016 budget as well in which collection of green fee was major highlight. The tax wasn’t imposed for two years and the SMC has now said it will be implemented with the new year celebrations. But even after issuing a public notice in September this year, the process has not begun yet. Shimla municipal commissioner Pankaj Rai said they will be charging green fee by the end of December and the corporation will be benefited at a large scale as estimated Rs 15 crores will be collected through it annually. First, the collected fees would be spent on the sanitation and beautification of Shimla and secondly, SMC will have information of each vehicle and its registration numbers, he added. “Once an outstation vehicle enters Shimla and it pays the tax, it will remain valid for only seven days after which the owner will have to pay the tax again. The four wheelers will have to pay Rs 200, more than four wheel vehicles will have to pay Rs 300 and two wheelers will be charged Rs 50. The tourist vehicles will not be troubled anywhere by stopping them from entering Shimla and they will not be asked to pay green tax, but they will have to pay it, else they will be fined Rs 5,000,” he added. The BJP media in-charge Karan Nanda said that by agreeing to the green tax implementation, the state government is promoting corruption in the name of collecting green tax as the money can be collected in illegal way too. He said the green tax will also discourage tourism in Shimla.